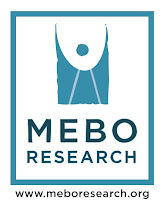 It is with great pride that I announce that MEBO UK’s Public Relations Director, Karen James's article, My body produces an offensively pungent chemical, was published in the Royal College of General Practitioners (RCGP), InnovAiT, Oxford University Press. InnovAiT 2012; doi: 10.1093/innovait/ins093 in the Oxford Journals of the Oxford University Press, InnovAiT. It was only one year ago, on March 28, 2011, that Karen spearheaded the International Raising Awareness Campaign in the UK medical system calling sufferers from around the world to write testimonials for her to submit to the UK Medical Research Council, the General Medical Council, British Medical Association, Royal College Physicians, and more. Our whole community is very grateful to the many sufferers who participated in this campaign. As a result of this very diligent determination on her part, Karen has accomplished, in only a years’ time, not only to work with UK DUETs, NHS Evidence, National Institute for Health and Clinical Excellence, to publish 10 body odor related uncertainties / questions, now found in the Library of NHS UK database, about the effects of treatment for TMAU, but now she has her own article published in InnovAiT. This is a perfect example of how a sufferer standing up and taking action can bring about significant change. Imagine what it would be like if each sufferer stood up and took action in his or her own way! We would be well on our way toward finding a cure if this were the case. We should never allow ourselves to be dragged down by the scepticism of fellow sufferers regarding ‘raising awareness’ campaigns; thanks to the UK raising awareness campaigns last year, synchronised e-mailing to the Royal College of General Practitioners and follow-up letters and calls, I managed to publish an ‘odour article’ in ‘Innovait’, which is a journal for graduating doctors published by the RCGP. We all know that unsolicited manuscripts are most often rejected. I was lucky because somebody at RCGP forwarded one of my raising awareness e-mails to the Innovait editors, perhaps with a suggestion that they feature TMAU in an edition of the journal. Without this initial recommendation I think my article would not have been published so it is thanks to all those people who joined me in sending e-mails to the UK medical establishments and thanks to all those people who allowed me to use their true accounts of ‘living with odour’ for the raising awareness campaigns. Also, the sharing of information during the meet-ups was also very helpful so thanks to those who organise the meet-ups and those who attend them. Several months later, we have a small (but significant) result. The original article had been written for (and already rejected by) newspapers so it was not suitable for a medical journal. However, the editors were incredibly supportive and helped me with the lengthy process of editing, re-editing, rearranging the content of the article so that all emotive adjectives were removed, the underlying critical tone of the medical profession was diminished and a scientific diagram, courtesy of Dr Elizabeth Shephard, was included. Odour conditions are covered by the UK Disability Act in that you can be classified ‘disabled’ for conditions which adversely affect your day-to day activities. Although 800 words were cut, I hoped the main points would still be included: the lack of understanding of most GPs and failure to diagnose; the danger of GP’s denying the problem; the need for research into odour conditions; the need for sensitivity and mental health support for younger sufferers particularly; the expense of nutritional supplements for sufferers who are unemployed or under-employed because of the condition. Odour conditions are covered by the UK Disability Act in that you can be classified ‘disabled’ for conditions which adversely affect your day-to day activities. It follows that unemployed sufferers in the UK should be entitled to disability benefits. The GPs questioned the validity of my statement that TMAU sufferers find it hard to get supplements on prescription. They clarified that any GP is able to prescribe calcium supplements etc. (obviously, it can be cheaper to buy certain supplements at the pharmacy if you are employed) and that consultants have the greater power of being able to prescribe virtually anything they consider relevant to the patient’s wellbeing. Imagine what it would be like if each sufferer stood up and took action in his or her own way! 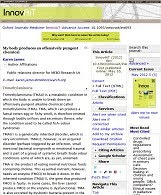 Each sufferer who has not yet been tested for TMAU is invited to print Karen's InnovAiT article and Dr. Shephard's NIH articles on Differential Diagnosis of TMAU, in which the diagnosis of Transient TMAU (intermittent odor) is introduced, noting its very reputable source, and take it to your respective GP to ask him/her to prescribe the TMAU Test. By doing so, not only will you get your test, but you will also carry on the torch of the Raising Awareness Campaign. Even if your doctor tells you that he/she does not detect your odor, Drs. Shephard and Phillips’ article clearly states that it could be transient (intermittent odor – not always present). In an effort to show strength in unity of sufferers in the UK, this article makes mention of the three primary sufferer support forums/websites that this blog links to on the menubar Community tab, the new UK TMAU Website, Arun's breath and body odour forum, and MEBO's website. On behalf of our international community, we take our hats off to you Karen, for tapping into the medical community on our behalf. We also would like to express our heartfelt gratitude to Dr. Elizabeth Shephard for her contribution to this article and for all she has done for our community. THANK YOU! This information/update is so uplifting and leaves me hopeful for similar accomplishments here in the U.S. I live in Jacksonville, FL and noticed that there is a strong need here for education/awareness in the medical community. To date, I have yet to meet a physician who knows about TMAU and/or other related conditions. I have recently become aware that the Mayo Clinic here in Jacksonville offers testing for TMAU (they ship samples to another facility out-of-state for testing)and am planning on communicating with someone there about any plan of awareness. 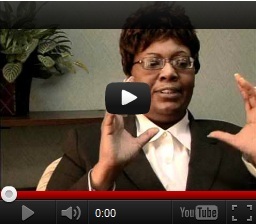 Is it possible to get a copy of the article written by Karen James? It's not showing up under the link... Thanks! Hi Anne. It seems that the article for the Innovait Journal is now only available from Innovait for a fee. This is not to do with MEBO, but with Innovait. We will check if there's any way around this.